XPO Gaming Convention will be happening this year. While it took a couple of years to get everything ready, they are well on their way to put on a great convention. To that end, they have announced their Keynote speaker. Tramell Isaac, art director of Boss Key Studios, is given top billing at the event. XPO provides the following bio. 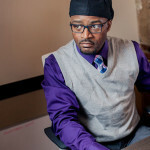 Tramell’s credits include the PlanetSide series, Neverwinter Nights 2, and the legendary post-apocalyptic RPG, Fallout. He even helped create the Fallout series’ most iconic character, Vault Boy! Tramell brings with him years of high-profile game development experience, and we’re happy to have him as XPO’s keynote speaker. Joining Tramell as speakers will be Sam Coster of Butterscotch Shenanigans and Susan Arendt managing editor of GamesRadar. This is a great lineup so far and there will be more to come over the next few months. You can follow XPO on Twitter at @GamesXPO.